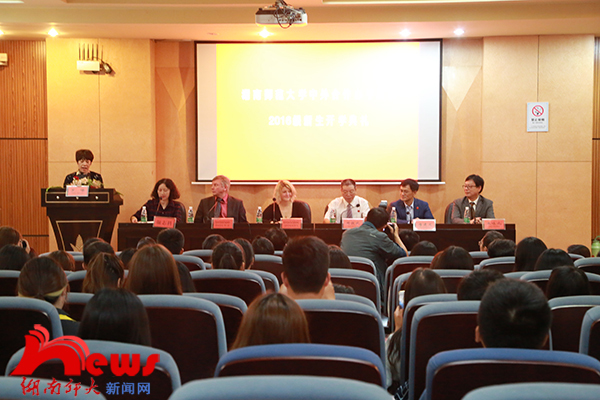 On the afternoon of October 17, the opening ceremony for the first Chinese-foreign cooperatively-run music performances major in 2016 was held at room 108 in Heyue building of Music College in HNU. 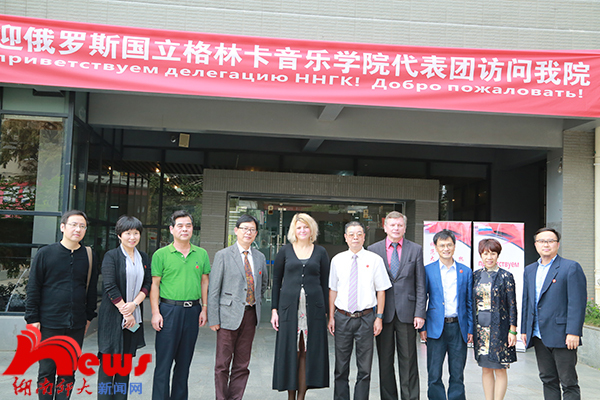 Ms. Kpahoropova, vice president in Russian Nizhny Novgorod state Glinka School of music, Mr.Frolov, director of its foreign affairs, Mr. Zhou Junwu, vice president of HNU, Tang Jianwen, director of International Exchange and Cooperation, and Mr. Zhu Yongbei, dean of music institute in HNU, attended the ceremony. And the ceremony was hosted by Luo Rong, party secretary of Music College in HNU. Ceremony was declared open and all the audience stood up with the national anthems of the two countries played. Vice president Zhou Junwu extended a warm welcome to the guests of Russian Glinka music institute. He said that Mr.Kurzynski，venerable professor, doctoral supervisor, and dean of conducting department in Russia Nizhniy Novgorod state national Glinka music college, served as a bridge for two universities in Sino-foreign Cooperation in Running School. SFCRS is one of the important projects to promote reform and improve the quality of higher education in HNU, providing a brand new education mode for inspiring students’ autodidacticism. 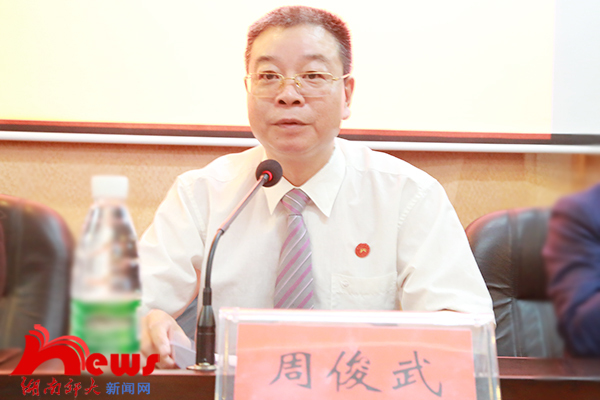 He said that HNU would introduce it foreign high-quality education resources, provide it with excellent professional teachers, and support it continuously. In the end, Vice president Zhou wished the students in the first Sino-foreign cooperatively-run music performances majorin 2016 academic success. Ms.Kpahoropova hoped that cooperation between the two sides can provide excellent conditions for teachers and students in two schools, and help the two schools make better achievements in education teaching,talents training,etc. She said that music was the best art which could promote the mutual understanding among people. 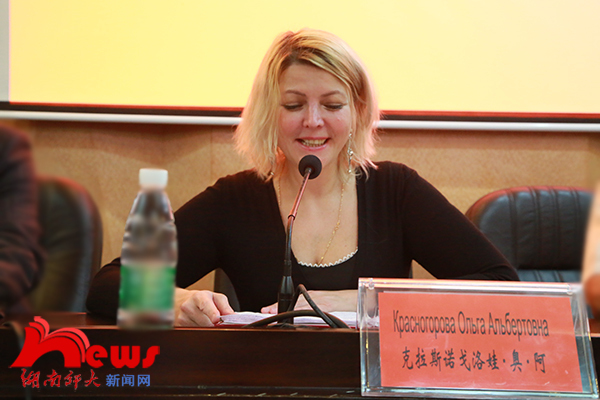 Ms.Kpahoropova wishedthe two schools further deepened cooperation, more relative projects and a better future. Yi Yu fei made a speech as a representative of the new students,expressing hope for upcoming college life.